We all need a helping hand once in a while. Nobody is exempt from needing a little bump in the right direction or an extra pair of hands at some point or another. We consider winching to be part of that ouvre. If you haven’t needed a winch yet and you don’t think you will need one any time soon, then we have news for you: don’t be so quick to think so! It is always good to be prepared and nothing hurts more than being wrong about a situation before discovering that you need help. So, save our number now, even if you never plan on using it, it can’t hurt to have a plan B ready should everything go pete tong! If you get in a position where you need a winch service, then sometimes you are liable to feel a bit embarrassed. However, there is no need to feel that way. We have been there several times ourselves and we know how it feels. The most important thing is to accept when you cannot move out on your own. If you’re stuck you’re stuck. It is a good thing to have a number at the ready that you can call if you need a helping hand. We will be there to offer professional, non-judgmental support. It is not a nice feeling to be driving to work, or on holiday or on your way back from somewhere, only to find that a change in terrain or a difficult turn has left you in a sticky situation. You try to ignite the car again and to accelerate, but the more you do that, the more you get yourself stuck. With the wheels spinning, you might get out of the car and try to push it into a new place, but more often than not, your vehicle would have the power to move you to a new place if it could get any purchase. Therefore, pushing a car works sometimes, but you will likely have all the weight of the vehicle on you, straining, until you give up. If this happens, it is time to call the professionals. When this kind of thing happens, you can give us a ring and make use of our great phone lines. Once we have established your location and we have got our gear together which shouldn’t take long at all - we will be on our way. 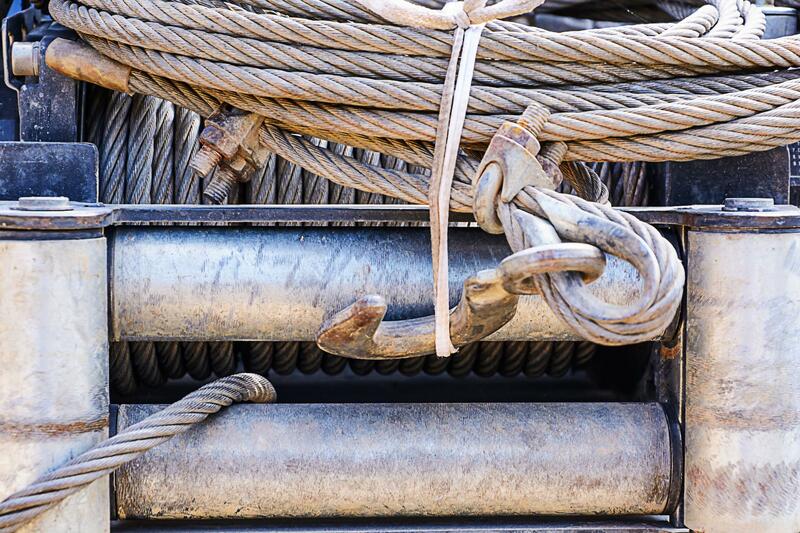 We use two different types of material with winches: steel and synthetic. We will switch wires depending on the weight of the vehicle and the nature of the terrain. Then, with our brackets, hooks and other tools, we will be sure to get your vehicle out of the situation it has found itself in, with minimal stress and without damaging the car. You will be on the roads again with the radio playing, ready to get on with your life undisturbed.